It’s understood the Department of Trade, Tourism and Investment is embroiled in a bureaucratic bloodbath in the wake of a major review by former New Zealand Finance Minister Steven Joyce, as acting chief executive Jim McDowell moves to implement machinery of government changes and flagged budget savings. InDaily has been told at least two senior executives have been “escorted from the premises” this week, with others understood to have been instructed to “pitch to the chief executive” for “the opportunity to basically present yourself for a role in the department”. InDaily has attempted to contact six senior bureaucrats understood to have been affected by the changes, including Health Industries SA chief Marco Baccanti, who was headhunted by the previous Labor government to run the health investment agency, with a brief to “attract companies and create jobs”. However, Health Industries was effectively abolished by the incoming Liberal Government last year, with its functions shifted within DTTI, along with Investment Attraction SA. The former head of Investment Attraction, Mike Hnyda, was kept on to run the broader department, but retired last month – a day before the Joyce Review was made public. The Optus mobile phone numbers of three of those executives – Strangis, Cooper and Pegoli – were disconnected, while others did not return calls. The Joyce review noted that the Department “currently has approximately 140 [full time employees] but is committed to significant down-sizing in the 2018 State Budget”, with the new department to have “no oversight responsibility” for the separate South Australian Tourism Commission. 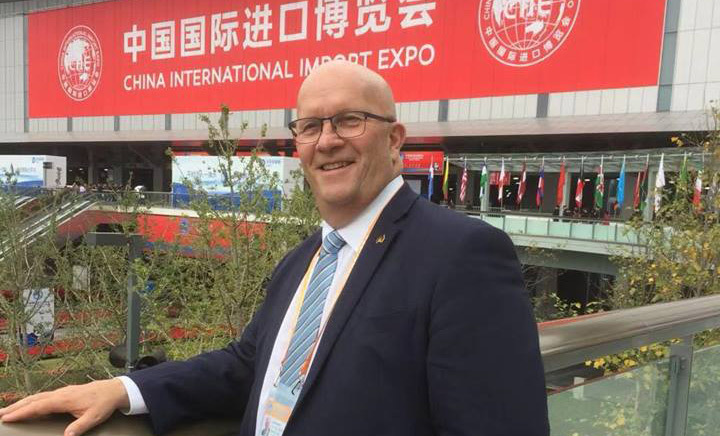 McDowell, the head of the Premier’s department who was seconded to oversee DTTI after Hnyda’s departure, told InDaily in a statement: “As I communicated in early March, the South Australian Government commissioned the Joyce Review into its international and interstate engagement bodies and functions. “In my role as Acting Chief Executive of the Department for Trade, Tourism and Investment – and guided by the findings of this review – I am focussing on building the best structure for the department to deliver on two of the government’s key economic priorities: the attraction of investment and the growth of trade. “I believe certain structural changes are necessary for this to be achieved, and have informed certain staff of my intention to make these changes. He said he “did not propose these changes as a result of any discussions with the Premier or Ministers” and “no further comments will be made at this time”. One departmental insider told InDaily “a fair number of executives have to look for new opportunities”, with some “offered the opportunity to pitch to the chief executive”. The department would not confirm the exact number of employees affected, but it appears certain to be the biggest single public service shakeup since the Marshall Government was elected.